From protests to outbreaks, political tensions and going where no probe has gone before: 2014 has witnessed some stunning moments, which have been pictured by photographers around the globe. 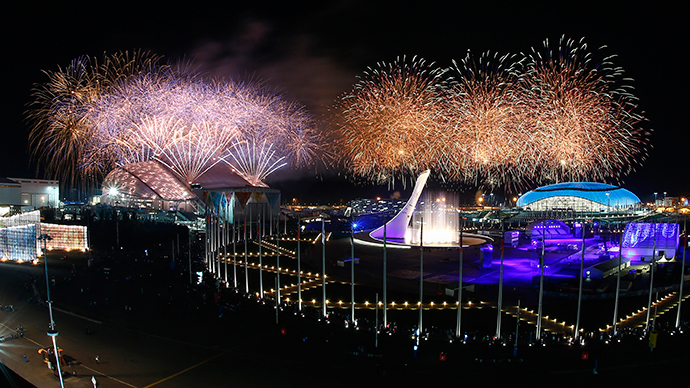 The long-awaited 2014 Sochi Winter Olympics finally got under way on February 7 with the opening ceremony at the Fisht Stadium. Forty thousand spectators were packed into the arena, while hundreds of millions were watching around the world. 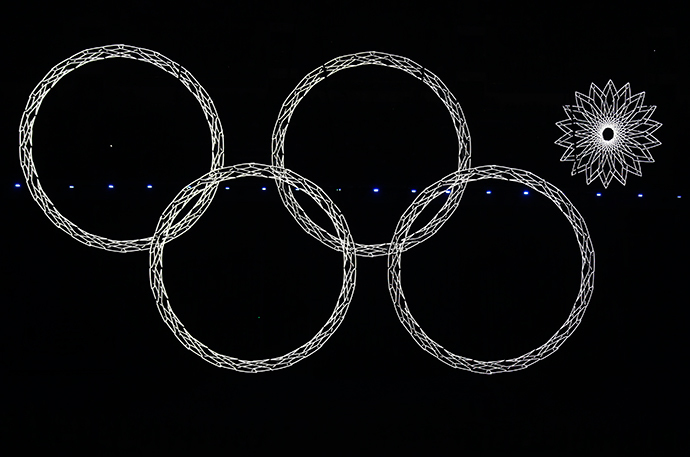 During the spectacle, the five rings were supposed to open, but one did not, due to a technical error. The organizers were able to see the funny side of this and at the closing ceremony one of five groups of dancers symbolizing the Olympic rings “failed” to expand. Far from all the world's eyes were on the Sochi Olympics, as protests in Kiev were also grabbing the headlines. Demonstrators demanded the removal of President Viktor Yanukovich as Maidan Nezalezhnosti (Independence Square) was turned into a battlefield and protesters clashed with riot police. Some of the worst of the violence took place on February 18, as talks between the opposition and the government bore no fruit. 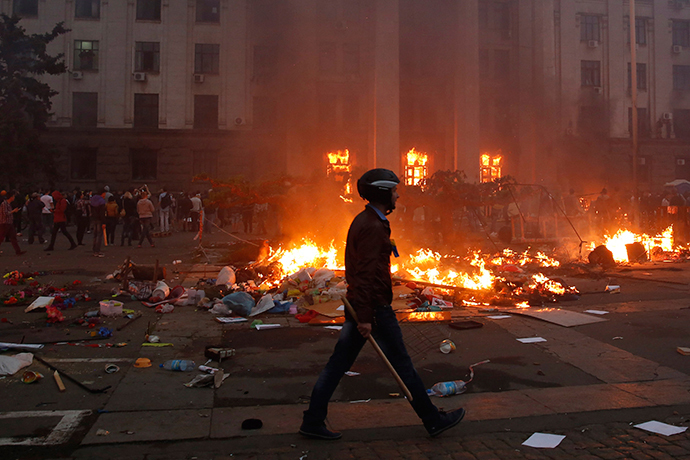 Eleven people died during the rioting, while the Ukrainian Interior Ministry said seven police officers were shot dead. Russian winter sport reached its nadir at the Vancouver Olympics in 2010, as the winter sports superpower won only three gold medals. Fast forward four years and competing on home snow and ice certainly helped as the host nation won a staggering 13 golds and 33 medals overall. Former South Korean speed skater Viktor Ahn, who changed nationality to compete for Russia, won three golds, while in one of the final events of the games, cross country skier Aleksandr Legkov led a Russia 1-2-3 in the men's 50-kilometer freestyle race to complete a fantastic Games for the Russian team. Nigerian terrorist group Boko Haram shocked the world in April as they kidnapped 276 schoolgirls during a raid on Chibok, a village in the northeast of the country. The militant organization is seeking to establish a sharia state. Boko Haram, which translates as “Western education is sinful,” said the girls would be sold into slavery. Their actions led to condemnation with the hashtag #Bring Back Our Girls going viral around the globe, with US First Lady Michelle Obama also supporting the cause. The rights group Amnesty International said at the time it had been told by several credible sources that the Nigerian military was given more than four hours’ warning of the raid by Boko Haram on the school, but failed to do anything about it. Thirty-nine anti-government activists died in a fire at the Trade Unions House in Odessa, Ukraine, after the building was set on fire by members of the ultranationalist Right Sector on May 2. Some of the victims burned to death, while others suffocated from smoke or jumped out of the building's windows, the Ukrainian Interior Ministry reported. Another 40 people were injured, including 10 police officers, in a shocking incident that received little coverage in the western media. There were plenty of riot police in the vicinity, but rather than helping, they stood by and watched the violence unfold. Vladimir Putin and Barack Obama may have seemed to have been giving one another a friendly glance, but nothing could have been further from the truth as the two presidents were in Normandy to commemorate the 70th anniversary of the D-Day landings in World War II. The image was captured by two separate cameras and displayed on a big screen, with Putin and Obama nowhere near one another. There were some positives to come out of the meetings with world leaders, however. The Russian president hailed his informal meeting with his Ukrainian counterpart, Petro Poroshenko, with both agreeing that there was “no alternative” to “peaceful political means” to resolve the conflict in Ukraine. A relatively unknown militant organization called the Islamic State of Iraq and Syria became the world’s most feared terrorist organization by the end of June. The radical Islamist group seized large parts of Syria and Iraq and left a trail of blood and death in its wake. Its militants took 49 members of the Turkish consulate in Mosul hostage and murdered 1,700 Iraqi soldiers in a massacre that they then proceeded to publicize with graphic photos in social media. ISIS beheaded foreign hostages, which in part led to a US-led coalition to launch air strikes on the group, who later changed their name to Islamic State. Brazil's 7-1 semi-final loss to Germany in the 2014 FIFA World Cup will go down as one of most talked-about results in the history of football. The Selecao (Brazilian team) were in search of a record sixth World Cup title, but they saw those dreams go up in smoke as they were thrashed by Joachim Loew's side in Belo Horizonte. The score line could have been even worse for Filipe Scolari's outfit, who found themselves 5-0 adrift at half time, before the Germans took their foot off the gas in the second 45 minutes. The final result left the football-mad nation in shock and humiliated, while it became the most tweeted sports match in history, with 36.5 million Twitter messages sent during the course of the encounter. Germany became the first European side to win the World Cup on South American soil after they claimed a 1-0 victory against Argentina in Rio de Janeiro. A largely dour game was settled by a moment of brilliance by substitute Mario Goetze in extra time. His sublime finish gave Joachim Loew's side victory. Germany's win gave the beleaguered Brazilian nation something to console themselves with, having being thrashed in successive matches by the Germans and the Netherlands, as a victory for their arch-rivals Argentina on Brazil soil would have been too much for them to stomach. Amongst the dignitaries in the stands were a delighted German Chancellor Angela Merkel and Russian President Vladimir Putin, with Russia hosting the next World Cup in 2018. The Gaza Strip was pounded by Israeli bombs for over two months, which left over 270,000 Palestinians homeless, and killed over 1,800, a significant number of whom were children. An Egyptian-backed ceasefire was eventually agreed upon in early August, while protests against Israeli aggression took place around the world. Israel was responsible for shelling Palestinian schools and hospitals, while Gaza's only power station was hit by Israel missiles, leaving much of the territory without electricity. The debris from a Malaysia Airlines airplane was scattered across several kilometers on July 17 after it was downed in Eastern Ukraine. All 298 passengers and crew lost their lives on the plane, which took off from Amsterdam and was bound for Kuala Lumpur, Malaysia. 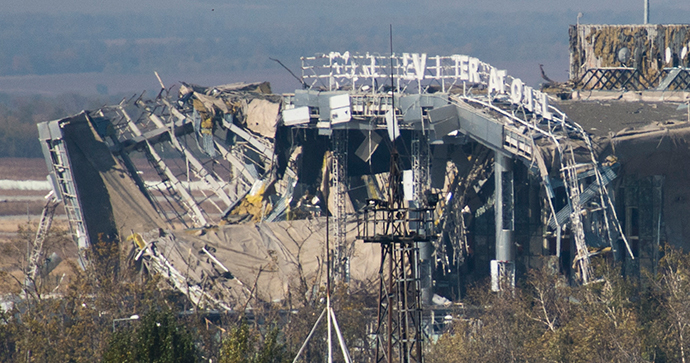 Attempts to retrieve wreckage from the area and allow international experts to the site were hindered by Ukrainian government forces shelling nearby. Kiev and the anti-government militias blame each other for the crash, while an investigation by an independent group of nations led by the Netherlands, which lost 193 citizens in the disaster, has yet to determine who was responsible for the incident. The epidemic started in March in Guinea and quickly spread to neighboring Sierra Leone and then Liberia, but fears that the virus would spread to Europe and North America have been largely unfounded. Ebola virus initially causes symptoms similar to flu, but as the disease progresses it causes internal and external hemorrhaging that can lead to organ failure. Mortality rates in previous epidemics have reached as high as 90 percent. By late November, the virus had claimed almost 5,700 lives according to the World Health Organization, with 16,00..
Thousands of people attended a Baptist church in Missouri on August 25 to mourn and celebrate the life of Michael Brown, a young, unarmed black man who died after being shot by local police officer Darren Wilson on August 9. Reports said the 18-year-old had his hands up when he was confronted by the law enforcement officer, while the backlash from his killing and then the failure of a grand jury to charge Wilson with unlawful killing led to riots in Ferguson and across the US. An autopsy revealed that Brown had been shot at least six times. 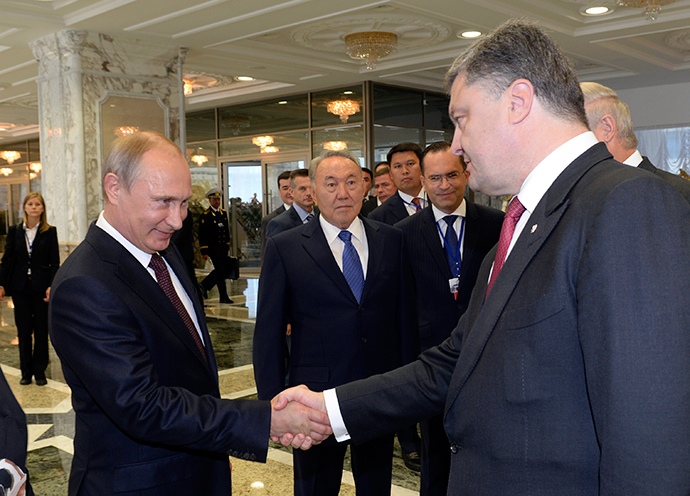 It was a long-awaited official meeting that could not come too soon as Russian President Vladimir Putin and his Ukrainian counterpart, Petro Poroshenko, met in Minsk. Peace was on the agenda to try and find a solution to months of conflict in southeast Ukraine as the pair greeted each other with a handshake. Poroshenko stated the need to find a political compromise and see an end to bloodshed in Ukraine. His thoughts were echoed by the Russian president who mentioned that the needs of those in southeast Ukraine needed to be taken into account and that the crisis would not be resolved by further escalation of the military conflict. Hundreds of thousands of Catalans flooded the streets of Barcelona in the region’s national day in September to demand the right to vote on independence from Spain. The region subsequently held a referendum in November, with over 80 percent voting to cede from Madrid and create an independent state. 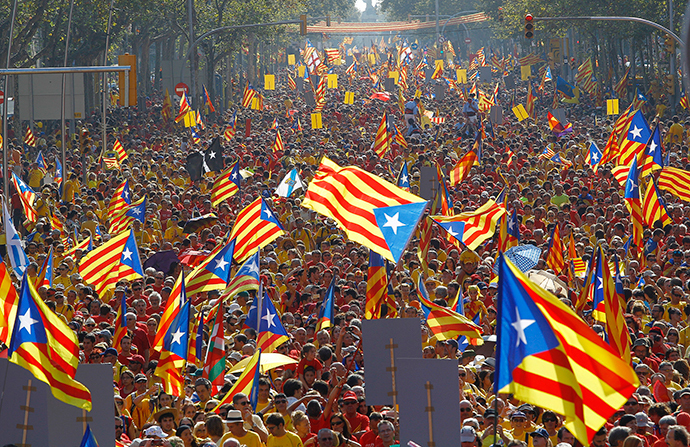 However, the move was not well received by the Spanish government, who defined the vote as being “political propaganda organized by pro-independence forces.” Catalonia’s high court said it will open an investigation into the alleged disobedience of regional president Artur Mas for holding a symbolic independence referendum in November in defiance of Madrid’s opposition. Meanwhile, Spanish Prime Minister Mariano Rajoy has said he wants to open discussions with Catalonia to give the autonomous region some devolved powers on spending and taxation, which would mean reforming the constitution. The “No” campaign rallied 55 percent of votes against 45 percent for the “Yes” camp, who wanted Scotland to become an independent country, as the region held a referendum September 18. While Scotland remains part of the UK, the nation’s relationship with the rest of the United Kingdom is expected to change considerably. All three major parties have agreed to grant Scotland more authority over issues including welfare spending and let them set their own taxation levels, which are currently controlled by politicians in Westminster. The leader of the “No” campaign, Alex Salmond, resigned following the defeat. Astronomers received a special treat on October 8, as the moon was lit up blood red. An optical trick played by the Earth's atmosphere offered a rare chance to see both an eclipsed moon and a rising sun at the same time. The rare optical phenomenon was best seen from Asia, Australia, North America and Russia’s Pacific region. The first blood eclipse out of a sequence of four red moons called a tetrad set for 2014-15 happened on April 15. The third and fourth will take place on April 4, 2015, and September 28, 2015, respectively. Just under three years ago, Donetsk's brand new airport, costing hundreds of millions of dollars, was opened ahead of the Euro 2012 football championship. Today it has been reduced to rubble as Ukrainian government forces and local militias have fought over the key strategic location for five months. Named after the legendary Soviet composer Sergey Prokofiev, the airport handled some 5 million passengers a year. Now it resembles a wasteland, with burned out cars and planes, as well as walls riddled with bullet holes, littering the landscape. 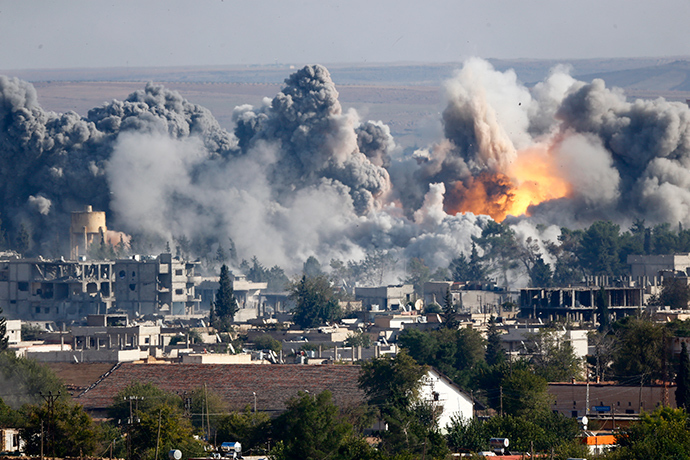 Arguably no place in Iraq or Syria has faced the wrath of Islamic State as much as the city of Kobani. The militant group, also known as ISIS, or ISIL, has laid siege to the Turkish border town since September to try and capture the predominantly Kurdish settlement. The resistance movement has been helped by US-led coalition airstrikes on Islamic State targets. The Syrian Observatory for Human Rights said on December 25 that airstrikes in Syria over the last three months have killed 1,046 fighters from Islamic State, while the total cost of the bombing campaign has been in excess of $1 billion. Widespread protests broke out in Hong Kong after locals took to the streets to demand greater electoral rights from mainland China. They were angered that from 2017, the city’s leader would be chosen by a committee based in Beijing. They also demanded that Hong Kong chief executive Leung Chun-ying resign. If he failed to do so, the student leaders said the protesters would storm government buildings. Yellow umbrellas became an iconic symbol of the protest movement. They were originally used to help protect protesters from teargas and pepper spray used by police. 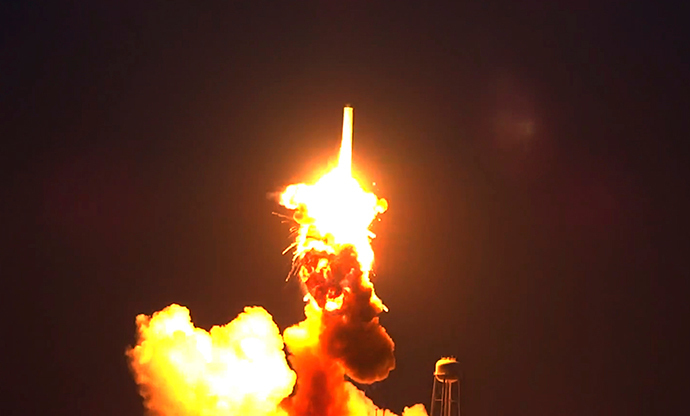 The Antares space rocket exploded seconds after launch on the coast of Virginia on October 28. The US spacecraft was heading to the International Space Station (ISS) on a supply mission. No one was killed during the unmanned rocket launch, but NASA has warned that the explosion may have resulted in debris being scattered across the surrounding areas, which may wash up on the shore. Stunning video footage was released a month later giving some spectacular close-up shots of the explosion. There were recordings from different angles to capture the moment the $200 million rocket went up in flames. The 25th anniversary of the fall of one of the 20th century's most evocative symbols of division – the Berlin Wall – was celebrated on November 9. Current and former world leaders gathered in Berlin as tens of thousands flocked to the German capital to rejoice in its collapse, which reunited Germany and signaled a profound change in international affairs. German Chancellor Angela Merkel, who grew up in East Germany, said its collapse was about “reclaiming freedom” and showing that “dreams can come true." A decade-long mission of the European Space Agency's Rosetta space probe, chasing Comet 67P/Churyumov-Gerasimenko, reached its final goal on November 12, as the Philae robotic lander detached from its mother ship and landed on the target. It has already begun to send back data to Earth, some of which has helped scientists conclude that our oceans were probably formed by asteroids, rather than by a comet as was previously believed. Protests erupted across the US in the wake of a grand jury decision not to indict New York Police Department officer Daniel Pantale, who was responsible for placing Eric Garner in a chokehold. The 43-year-old Staten Island man was restrained by police who tried to arrest him, then took him to the ground. Video footage of the incident was captured by a bystander, during which Garner can be heard yelling that he can’t breathe, but it did not seem that officers responded to his complaints. 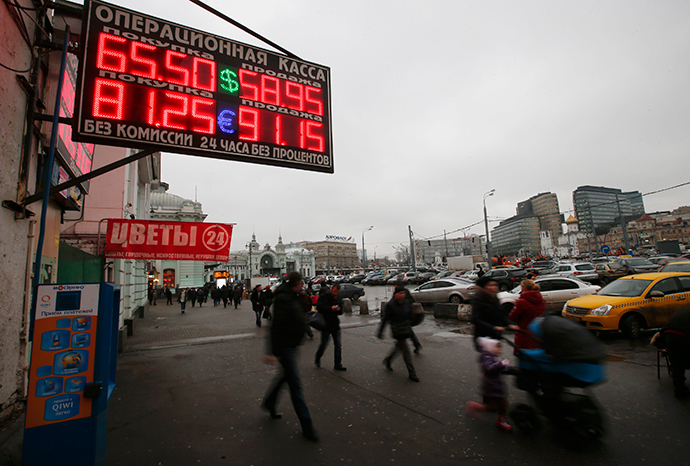 Russians were shocked in December as the ruble began to plummet against the US dollar and the euro. This prompted the Russian Central Bank to hike interest rates by 6.5 percent to 17 percent. Since 'Black Tuesday' on December 16, where the currency lost more than 20 percent of its value against the US dollar, the ruble has steadily been recovering, with Prime Minister Dmitry Medvedev saying that Russia had enough reserves to weather the crisis. Meanwhile, President Vladimir Putin said that in the worst case scenario, the country's economy will start seeing growth again in two years.